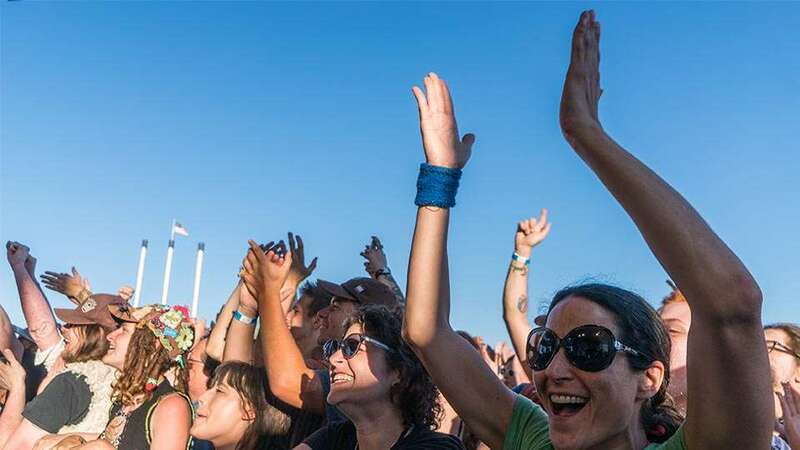 The Les Schwab Amphitheater Summer Concert Series has been rocking and rolling since the early 2000s bringing big name bands and musicians to Bend, Oregon with many performers choosing to do their only Oregon show here. Travel + Leisure even called it one of “America’s coolest music venues“. From Americana to rock to indie and pop, the LSA has featured the likes of Jack Johnson, Bob Dylan, Ben Harper, Coldplay, Beck, Michael Franti & Spearhead, Dave Matthews, Phish, Death Cab for Cutie and many more. The live music venue, located in the Old Mill District along the dreamy Deschutes River, usually starts its summer lineup over Memorial Day weekend and continues through the early fall. With free parking, plenty of food and drink vendors inside, and the ability to bring in blankets and lawn chairs for most concerts, enjoying a show at the LSA will spoil you rotten. Top it off with unreal views of your favorite bands set against river and mountain backdrops, and we guarantee you’ll be back in Bend to see another band. The Les Schwab Amphitheater is an 8,000 person grass venue located on the beautiful banks of the Deschutes River in Bend, Oregon. We are in the Old Mill District just steps from the Deschutes River Trail, fantastic dining and shopping, Regal Movie Theater, art galleries, and more.